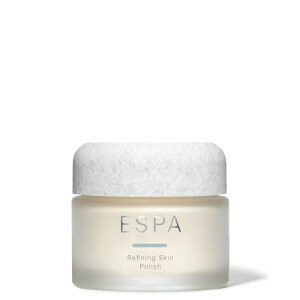 I love this product which first was recommended by Espa Spa in Wihula Manor, Estonia. Then I bought the product in Espa Spa in Kämp Hotel in Helsinki, Finland. This third bottle I ordered through your website first time. The only thing to complain is that the package took almost two weeks to arrive to Finland. And we only have one Espa Spa in whole country... However, my sensitive skin is hydrated and happy now, even if it is wintertime and very cold with much snow. Very hard climate at the moment. This has to be the nicest, most moisturizing way to remove your make up. I have really sensitive/ combination skin making removing make up a really drying experience. This cleansing milk is fantastic! It feels so nourishing and removes all my make up without drying or making my skin oily. I went and had some treatments at my local spa. And was all of these products were used on my face. I recommended the nourishing package. And oh MY! My skin is glowing. I've recently giving birth and I honestly think I don't look so tired because of these products. They smell amazing and they really have hydrated my skin! It's expensive but you've only got one face right? I find this cleanser incredible gentle with a lovely comforting smell. I had quite bad dermatitis under both eyes but this doesn't irritate the skin or cause me can't redness or reactions . Really enjoy using this morning and night. A truly wonderful cleanser perfect for all my clients and me!. The rich, creamy texture is a wonderful addition to my facials. The aroma is beautiful creating an instant calmness to clients breathing as I start their facials. I have found this cleanser works for all skin types, even those who say they have sensitive skins. It not only does the job of cleansing and removing impurities but it leaves the skin refreshed and clean. 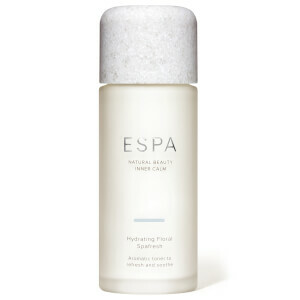 I have used ESPA products for over 20 years now and I love them all! Love all the espa products. This cleanser cleanses really well removing all my makeup easily whilst still leaving my skin feel nourished. I've tried a lot of expensive cleansers and most leave my skin feeling dry and tight but this is so gentle and lovely. Great product! I've been using this for years and it's perfect for sensitive skin. Quick delivery and we'll packaged.